Bitcoin hacking is starting to become a widespread phenomenon. Someone needs to do something. 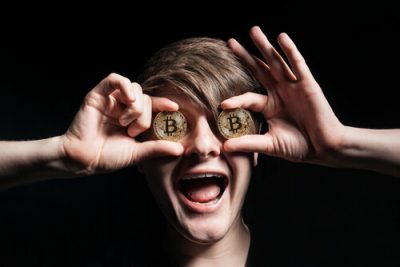 About a week ago the Australian police department confirmed that hackers, or cyber criminals, managed to transfer Bitcoins with worth more than 100,000 euros or about $117,000. 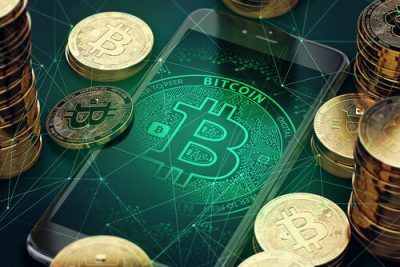 Hackers stole that amount of money in the form of Bitcoin from an individual’s account while he had logged in to his account while in a restaurant using the free public wireless network available there. Law enforcement agencies, the police, put out an official statement this Wednesday and said that hackers moved all the Bitcoins to an unknown account. They also revealed that they could not trace the account. Furthermore, the statement said, hackers exploited an unidentified 36-year-old who had logged in to his Bitcoin account in the southeast area of the Innsbruck city. The individual in question simply wanted to check the net value of this Bitcoin, digital currency. 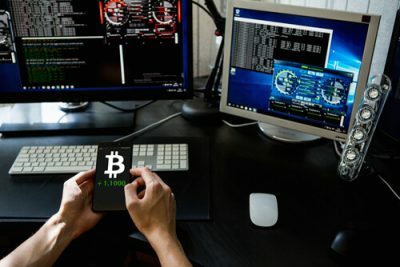 Law enforcement agencies haven’t found evidence to clarify if hackers had hacked the victim’s Bitcoin account before he logged in to the unsecured WiFi network or afterward. Perhaps the individual should have seen this coming. Cryptocurrencies may provide more privacy. 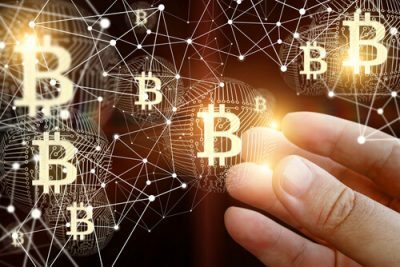 But security experts have long held concerns about the security of these cryptocurrencies such as Ethereum and Bitcoin. Of course, the collapse of the very popular Bitcoin exchange MT. Gox back in the year 2014 didn’t help the Bitcoin community to dispel all security doubts either. Mark Karpeles, the former CEO of the company, is currently awaiting his trial in Japan. This is where Karpeles had based his company. Law enforcement authorities in Japan are currently investigating him for data manipulation and embezzlement charges. According to karpeles, the company collapsed because of hackers. Previous media reports comprehensively covered the breach that took place late June where hackers exploited the largest Bitcoin and Ethereum exchanges in South Korea. In that incidence, hackers managed to steal an estimated 1.2 billion won. Convert that to US dollars and you get an amount that goes slightly over $1 million. Then quite recently law enforcement agencies caught a Pennsylvania man who actually confessed that he stole Bitcoin worth over $40 million. The other risk with digital currencies is that they tend to fluctuate wildly as far as their values are concerned. And despite all the hacking risks, investors around the world continue to show a lot of faith in these digital currencies. Ethereum and Bitcoin are locked in a battle for market share. Take a look at Ethereum. Ethereum started the year with a value at $8.17 per unit. But in less than a year, a few months rather, its value soared by 2600 percent. During this period of several months, Bitcoin itself made a huge surge of profits by going from $1027 to above $8000. The roller coaster ride to the top came with several stunning collapses as well. If we are talking about market value then currently, Bitcoin is undoubtedly the largest cryptocurrency. Last Tuesday, the value of Bitcoin managed to climb as high as $8339, which set a new record in New York trading. The other interesting thing about Bitcoin’s huge value surge is that it came despite the fact that Bitcoin lost about 5 percent of its value on the day because in other news Tether, Bitcoin’s cousin cryptocurrency, had recorded a theft of over $31 million. Ethereum, as we all know, emerged on the world stage from the huge shadow of its own rival Bitcoin. But Bitcoin has helped Ethereum’s cause in a way. Its skyrocketing surges and then fantastic downfalls all contribute to people moving towards Ethereum rather than Bitcoin. The other problem is that as Ethereum attracts more and more customers and media, it would also attract the attention of hackers. Hackers find anything that can return a good sum of money as tempting. As mentioned before, cybercriminals stole around $10 million from a Coindash electronic wallet back in July. This is especially worrying since Coindash is actually a company that has specialized in the blockchain technology that digital currencies all over the world use. Even before that, we heard news about how hackers stole around $32 million by exploiting a vulnerability that existed in Parity’s e-wallet. Parity is a startup that offers e-wallets to users who want to use digital currencies. Following all these cyber heists, Ethereum slumped. In fact, it tumbled down to $218.82, a 15 percent drop, from its mid-July value of $258.52. That is what CoinMarket Cap reported back then. Bitcoin hacking has caused individuals to lose millions of US dollars in real money. So why are new investors continuing the trend of investing in Ethereum and other digital currencies? Well for one thing they may not know the risks that are involved with digital currencies. Moreover, they also may not want to give attention to the idea of hackers stealing all their funds. This is what the CEO of CakeCodes, Simon Yu said. CakeCodes is a company that offers rewards in cryptocurrency form to various computer video game players. Simon Yu also said that security firms should ensure that they secure their accounts with private keys. Moreover, only the account holders should have access to the combinations of those private keys. How Could A VPN Service Would Have Protected That Man In Australia With Bitcoin? Well, you see in the beginning of this report we mentioned that a man in Australia lost $117,000 while using a free public wifi network in a restaurant. The thing we did not tell you is that, the victim could have easily avoided losing so much money if he had just used a VPN service. A VPN service would have encrypted his data and his connection to the internet. Hence hackers would not have been able to get to his sensitive data. The other thing about free public wifi networks is that you should not use them for sensitive tasks. Things come up and you somehow have to use public wifi networks to get things done. Well, when that situation arises, we recommend that you should always use a VPN service to do your work. Now, there are so many good and not-so-good VPN service providers in the market today. All claim that they protect your data to the fullest. You can always use a VPN service to protect yourself. Our research shows that IPVanish is the best VPN service provider if you want to stay safe while using public wifi network in a restaurant. It also comes with a seven-day money back guarantee. So you don’t have to worry about anything when signing up for IPVanish. To sign up for IPVanish right now and from the official website, click here.